December 9, 2016 By Marnie This post may contain affiliate links. Please read my disclosure for more info. “Our accountant needs your blog income and expenses. 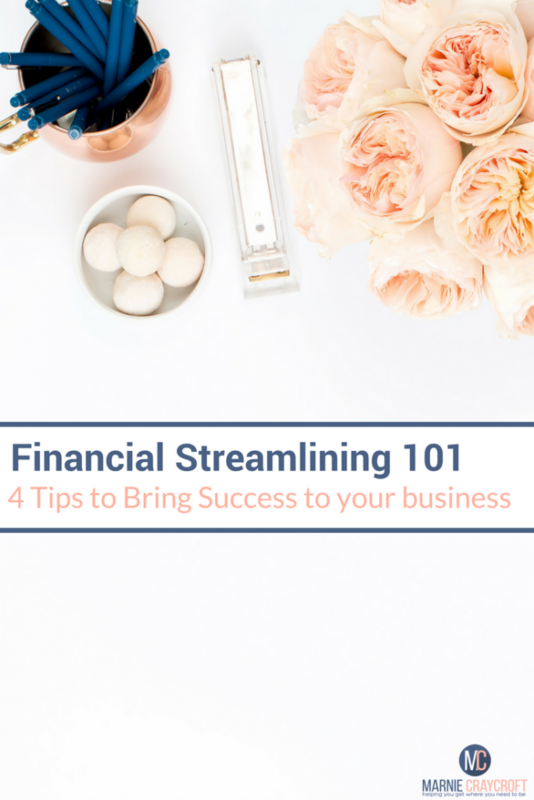 Can you send that report to him?” Financially streamline? What? Me? “Yeah, sure,” I hesitated barely squeezing the words out. Finding success in your blogging business is a wonderful thing, for sure. Even more wonderful? Finding success that is both profitably and sustainable. Because then I wouldn't be up until 2am the night before taxes are due gathering all the relevant information. Did you know that you have to file an income tax return if your net earnings from self-employment were $400 or more? Here are my absolute top tips for starting out on your blogging as a business journey. I opted for Freshbooks initially. I love Freshbooks. It is super easy to use and works really well for lots of people. However, I found I had to use a lot of “go arounds” to make it work for me. For example, I had to make my affiliate relationships each a client to be able to track income generated from them each month. Freshbooks is definitely the new kid on the block compared to the old timer Quickbooks. Both options offer cloud/web based accounting solutions. So determining which tool you use for your business depends on, well, your business needs. Ask yourself: how to you generate income? Do you have digital goods? hard goods? Do you send a lot of invoices? Do you have recurring payments or invoices? In the end, I chose QuickBooks based on my CPAs recommendation. This piece of advice is single handedly the most valuable piece of advice given to me to date. Having to pay a conventional CPA for hours you spend education him on the ins and outs of blogging is the last thing I want to do. I found an amazing CPA with a solid background for what it takes to file taxes as a blogger. She takes care of me. Do you have a disclaimer and copyright notices on your blog? Do you know which disclosures you need to make, and when and where you need to make them? When you enter a contract with a brand, do you have your back so you get paid? When you hire a Virtual Assistant, are you covered? Feeling overwhelmed yet? No worries. I got your back. Check out Businesses' rock solid Legal Kits for Bloggers. They deliver every piece of information you need seamlessly and gorgeously. Plus, Jamie and Danielle are just cool cats and who doesn't want to know a cool lawyer? Phew. Okay, that just about covers it. 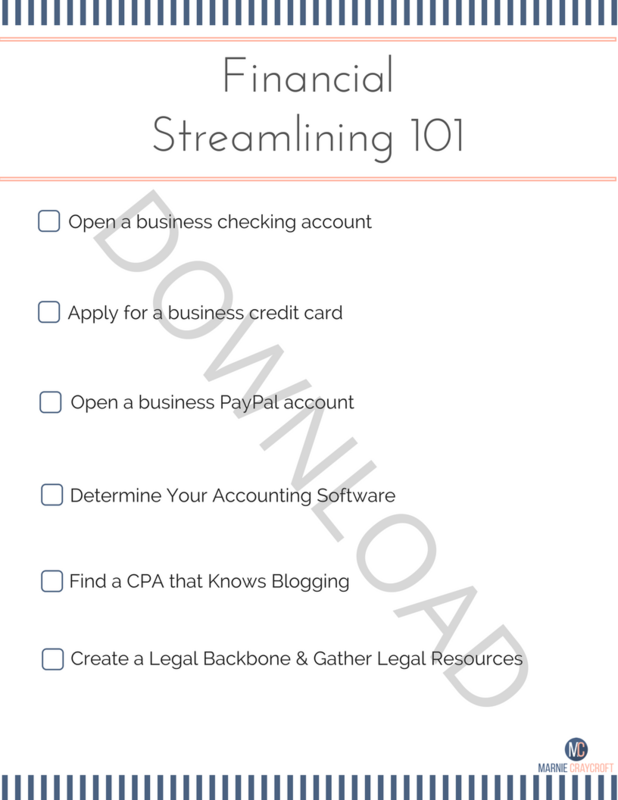 If you take these four steps, I promise you there will be no 2am work call to fill out taxes for your blogging business. You're a rock star. You might as well start acting like it!